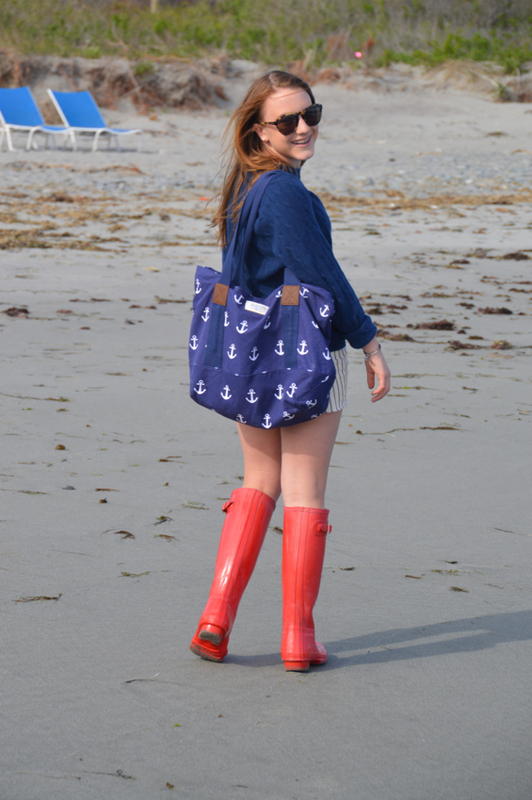 Last weekend when I was up in Newport, I brought my Sloane Ranger anchor tote with me! Back in March, I hosted a giveaway with Sloane Ranger- don't worry if you didn't win, plenty more giveaways in the future. Ever since I received the bag, I have been using it for weekend trips and days when I'm carrying a lot of stuff. The bag was ideal for my weekend; inside was a mix of school work, sailing clothes and other miscellaneous items. Can we also mention these Madewell shorts?! I am in love with the pinstripe pattern and they fit so well- I also like this pair and this pair! Hope you have a wonderful weekend and enjoy the amazing weather! Love the Hunters (naturally) but especially love how you paired the with the striped shorts! 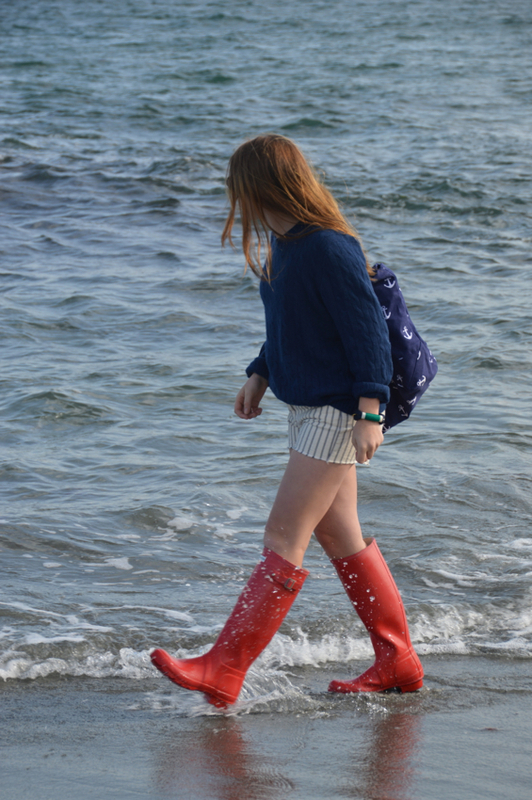 I'm so glad I found your blog and i'm now following you, you look adorable wearing your red Wellies, I wear red Wellies too, it would be fun to wear them together. 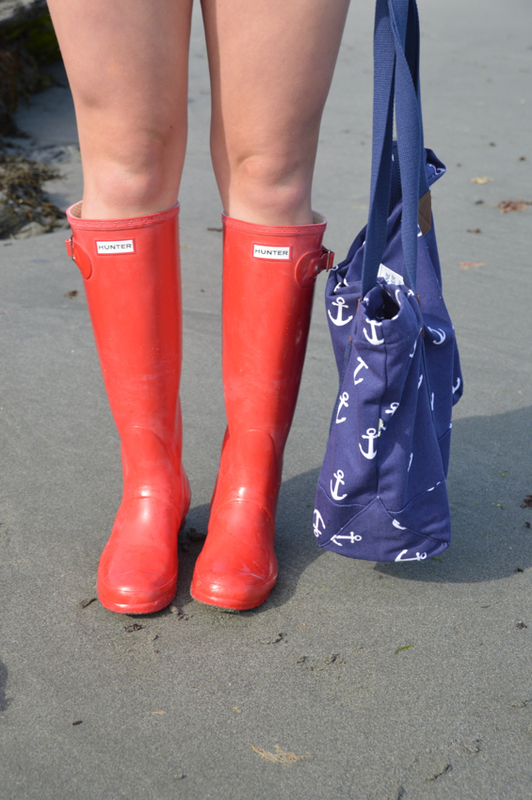 I love my Hunter Wellingtons and wear them a lot whatever the weather and I get a lot of admiring glances when I go into town with my Mini and Wellingtons on when the sun is shining and seeing you wearing your Wellingtons in the sunshine makes me very happy we are as one. Whether it is a tote, a messenger bag, or any other type of EVRSC bag made of recycled sailcloth,it Sailing Totes will be just right for those who have a special liking for the ocean and all things maritime. Ensure that you get the best items with easy onlineordering.